Home Research Faculty Jörg Bungert, Ph.D.
Jörg Bungert earned his Ph.D. degree in Molecular Genetics from Philipps-University (Marburg, Germany) for his work on the characterization of erythroid specific transcription complexes, under the direction of Klaus Seifart. In 1992, he joined Doug Engel’s laboratory in the Department of Biochemistry, Molecular Biology and Cell Biology at Northwestern University, where he studied the developmental regulation of the human b-globin genes. 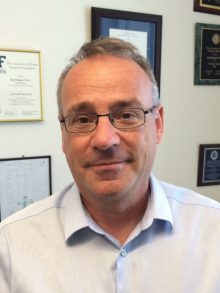 Dr. Bungert joined the faculty at the University of Florida in 1998. The work in our laboratory focuses on analyzing the regulation of globin gene expression in red blood cells. The globin genes encode for components of hemoglobin. 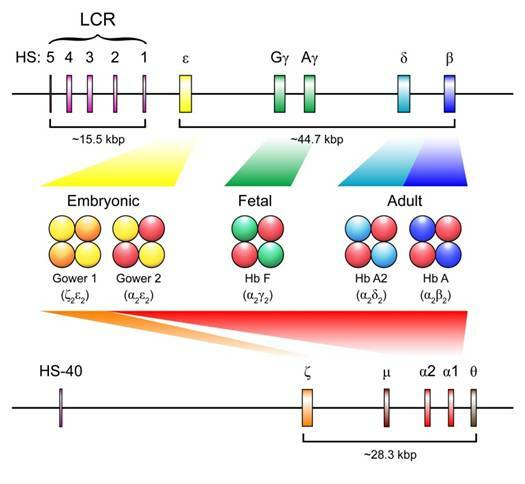 We use a combination of genetic and biochemical approaches to analyze the structure and function of the human b-globin locus control region (LCR), a powerful regulatory genetic element located far upstream of the globin genes. The LCR, which is composed of several sub-regions revealing high sensitivity to nucleases in erythroid cells enhances globin gene transcription in a developmental stage specific manner. We use transgenic mice, embryonic stem (ES) cell differentiation systems, and in vitro assays to elucidate the mechanism by which the LCR regulates the recruitment of transcription and chromatin modifying complexes to the b-globin gene locus.